Squid allows users to take handwritten notes naturally on various devices. With Squid you can write just like you would on paper using an active pen, passive stylus, or your finger and easily mark up PDFs to fill out forms, edit/grade papers, or sign documents. Squid was originally designed for tablets with active pens back when Android Honeycomb was released. The latest Chrome OS devices with active pen support that run Android apps are essentially the hardware they've been waiting for, so it was easy for them to make the choice to optimize. Squid was built for large screen devices from the beginning, but there were a few areas they needed to focus on to optimize for Chrome OS. They added better support for the keyboard with keyboard shortcuts, navigation, and making sure hitting the “Enter” key closed dialogs where you would expect this to be the natural behavior. They also added support for trackpad scrolling, which is helpful when users are reviewing a note in Squid, and support for the system clipboard. The biggest and most beneficial effort was adding support for the low latency stylus API, which drastically improved the core experience of Squid. 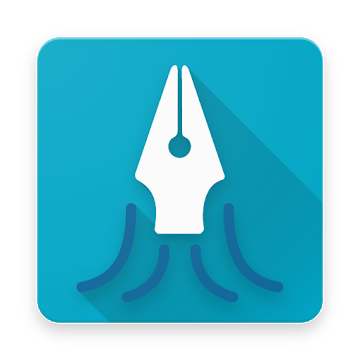 Since Squid is a handwritten note-taking app, stylus integration is extremely important because an active pen provides a much more natural writing experience. Squid users are astonished at how fluid and lag-free writing is now. With low-latency support, the ink finally feels like it's coming out of the pen. Squid users have given the app rave reviews. The cumulative average rating on Chromebooks is 4.6☆, which is 8.5% higher than their average rating across all devices. Over the last 30 days, Chromebooks have accounted for over 7% of Squid's active devices and a significant 21% of their revenue! They've also had schools start adopting Squid in the classroom, and are hoping to expand this further in 2018 with the great lineup of new active pen-enabled Chromebooks built for education.